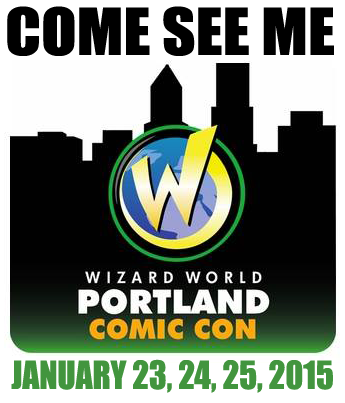 It looks like I will be at the Wizard World Comic Con in Portland again in January. I'll be sharing a table with author Shéa MacLeod, whose website describes her books as 'urban fantasy scifi post-apocalyptic paranormal romance with a twist of steampunk.' What's not to like about that? We're both Oregonians, and we hang out with the same costuming people, so why not team up and present our work at the 2015 Portland 'Con? It's all very exciting. We will have candy and swag. So come and see us! Next September both of us also will be attending the 'Passion in Portland' author signing event. I am especially excited about this event, because I get to meet so many new local(ish) authors. I hope I will see you there too! By then, I should hopefully have another release or two to promote. I'm working hard now that my baby has gotten a bit older to involve myself in more events to promote my books and get to know my readers, and I'm looking forward to meeting everyone. :) I will announce any other events I may be doing in the interim. 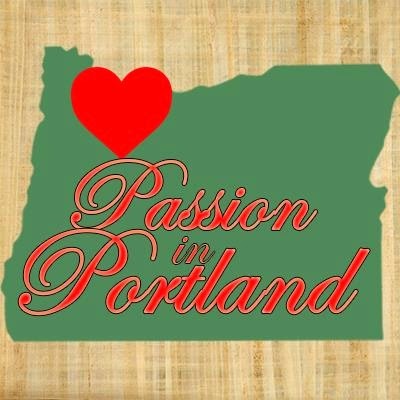 Like the Passion in Portland page on FaceBook for more information, and like my new Facebook page (completely politics-free!) too! I'm always offering little giveaways to the followers on the page. Join me. An interview by Indie Author Land! Ynith starts off a sheltered, naïve little thing with no talent for magic (that she is aware of) but a rather strong taste for learning about all the forbidden forms of it. Her life is limited to one place, and has been for some years. But everything changes when she bumps into an awkward, gangly character in the library, where she develops an initial dislike towards him–and in part is inexcusably rude to him. She discovers to her horror that she was rude to the Crown Prince. But the strange character takes her rudeness in stride, and instead immediately becomes strongly attracted to her. Ynith comes to discover to her dismay, that the man that has selected her as the single object of his affection is without reservation, evil. What she does with that knowledge, remains to be seen. The story follows Ynith; her evil beloved is not the main focus. Instead, it is Ynith’s journey as she equips herself with what she needs to cope with the consequences of being loved by an evil Wizard King. It is a story of a young woman taking her fate into her own hands, a story of sacrifice and of so much more. 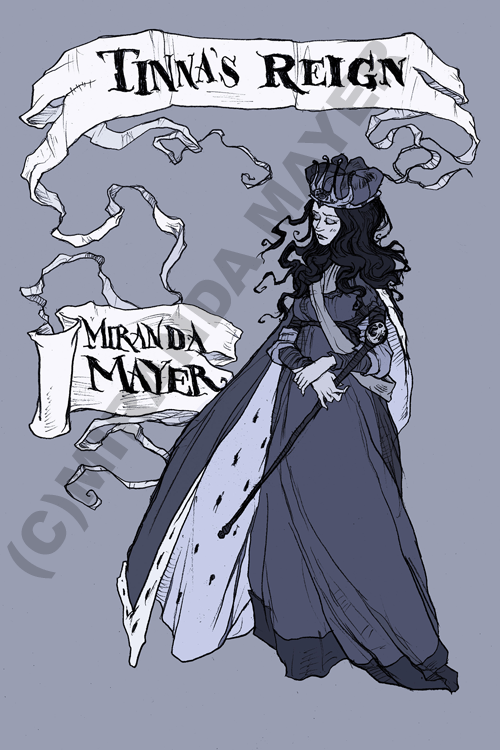 The Wizard King is a blending of both my love for Magic and Fantasy and my passion for the Regency period in history. Although it’s a different world, the theme is still painted in the colours and styles of Regency, with the addition of wizards, life-draining creatures called Ogrein, and magic aplenty. Fantasy-coloured Regency? That’s a new angle to us. We like the sound of it. Readers that enjoy Jane Austen might enjoy this as a change of pace from the romances of the English Regency, but still have familiar themes and language to carry them along. This book will also appeal to anyone who enjoys a story where the lady is a strong character. Fantasy and magic readers would surely fall in step with the book as well. It is surely more of a lady’s read than it is for a man, but that doesn’t mean a man could not derive enjoyment from the story. You’ve described Ynith as a strong character. Ynith is an orphaned girl of nineteen, living in a learning academy. She has lived there since she was very young, sent there for her own protection after her parents were killed. She has wealth, and even a title, but has no advantages because her family is a danger to her. They want what she has; her title and what remains of her legacy. She is sheltered and innocent in some ways. Utterly guileless with a kind heart. She loves simple things, and takes great enjoyment in the special attentions from an elderly Docent and his sister. She isn’t ready for the things that are about to befall her, but that is her challenge. To overcome her innocence, and to take matters into her own hands. Have you written any other books that we should read next? Book one and book two of the Trilogy of Tinna are available now, and I am currently working on book 3.Tinna’s Promise, book 1; Tinna’s Might, book 2. I also have an anthology and another book called Blackroot available for purchase in either eBook or hard-copy. I am a new mother–and had my first child at a rather ripe age. I live in the forests at the foot of Mount Hood in Oregon. I ride horses, and have all my life. I enjoy riding sidesaddle. I also enjoy costuming, illustrating, reading, sewing, and creating things in general. I’m married to a wonderful, tolerant man who puts up with my many quirks. I also delve quite deeply into various forms of geekery, and can sometimes be found to be sailing about dressed as a RavenClaw professor, wearing a Jayne hat, or dressing my poor baby up as an Ewok. Do you have a website where we can keep up with your work? How can we follow you on Twitter and/or Facebook? Tinna’s Reign is next, and then a book called ‘The House of Black’; a YA novel about witches. See my blog for details! Hello all. I've been a bit preoccupied by the Portland Wizard World Comic Con, and then life itself, which also tends to take over. Especially for new(ish) moms. The Wizard King has had its release and it is being received very well. I hope it continues! I have a few projects on the fire including book 3 of the Trilogy of Tinna; Tinna's Reign, which is being padded out and revised before I send it to be edited. 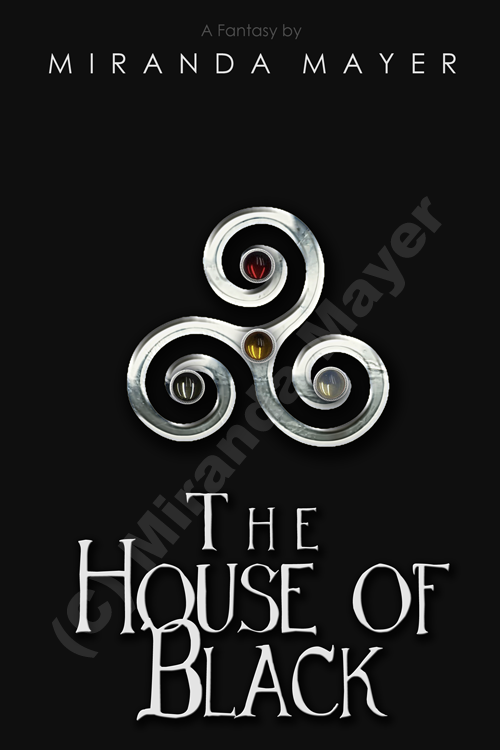 The second project i'm working on, but is at present only about a 1/4 written is the House of Black. It is a story of a little witch by the name of Kimber and her battle to save her sisters and her house from attack by an ancient enemy. Were born the saviours of this age. Did light and dark and vibrant red. From despair they did us lift. And enemies the three were named. Were the mother’s gifted three. The Gifted now must live unknown. To end the Black, the Red, the White. And finally, it's so new I haven't even begun to work on the cover, I am working on 'Wolven' -- which is not about werewolves, and also dabbling into the idea of another book for the Wizard King world.